While spring in Arizona is the prime time to hit the links, with the summer’s fast approach, cooler temperature tees are what serious golfers seek. Either a quick flight or short drive toward the coast reveals a Southern California enclave of world-class resorts with golf components. The tee atop most golfer’s must-stay and must-play lists is San Diego’s The Grand Del Mar, which entices by way of its championship golf offering and ultra luxurious accommodations. If you’ve never navigated the links at The Grand Del Mar, here is a glimpse of what the course, which has gained much attention in golf literature, offers. Aside from stunning accommodations and service that rivals the best in the world, a major perk of The Grand Del Mar is its ability to serve as a luxury retreat while exploring all that San Diego has to offer. The resort is situated within close proximity to the many Del Mar and La Jolla beaches, which means a trip to the sea is never more than 10 minutes away. Local attractions include: downtown San Diego and the Gaslamp quarter, which are approximately 20 minutes from the resort, world-class shopping at Fashion Valley and downtown La Jolla boutiques, the Birch Aquarium and the San Diego Zoo are all easy-to-get-to attractions. For visiting golfers, San Diego is home to numerous world-renowned golf courses, like the home of the 2008 U.S. Open Torrey Pines Golf Club. 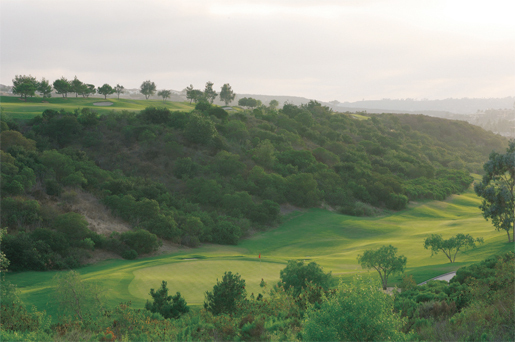 But a stay at The Grand Del Mar wouldn’t be complete without a round on the resort’s home course. But one round at The Grand Del mar Golf Club may simply not be enough. Resort heads have realized this fact and are offering a sensational stay and play package for those looking to spend some serious time on the tee. This spring and summer, The Grand Del Mar is making waves along the Cali coast by offering unlimited stay and play packages. 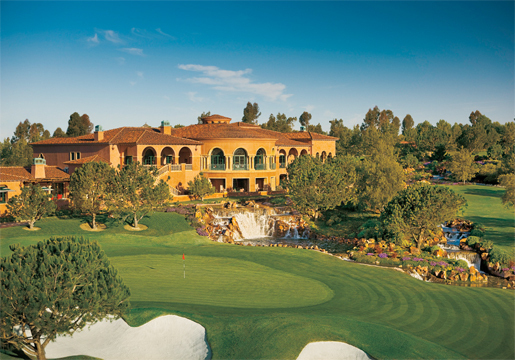 From now through June 28th, guests of the Grand Del Mar can gain unlimited access to The Grand Del Mar’s Tom Fazio–designed golf course from 2 p.m. the day of check in to noon the day of check out. Sunday through Thursday rates from $425 per night; Friday through Saturday rates from $525 per night. Package is valid for two people and is exclusive of hotel tax and gratuity. The Grand Del Mar, 858.314.1930, www.TheGrandDelMar.com.